Committed to meeting the needs and requirements of customers across both the domestic and commercial spheres the skilled and passionate team at TLA Services can design, repair, and install heating and cooling units into properties across Melbourne. For reliable air conditioning at your Bayswater home, there’s no looking past TLA Services! 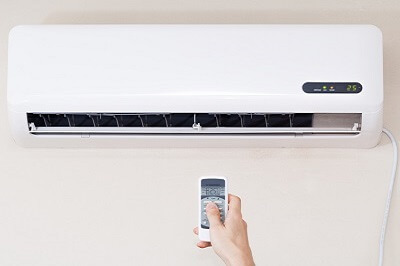 With a wide range of available air conditioners, Bayswater locals are sure to find a size and model that suits their requirements. Our team are happy to look at floorplans of your property and provide a free, no-obligation quote for an air conditioning system that best suits your needs. For years, our highly-trained and qualified team have assisted countless residents throughout Melbourne suburbs like Bayswater, Box Hill and Ringwood with staying comfortable all year round. Whether you are after low-environmental impact air conditioners or ducted heating Bayswater residents can trust us to provide them with solutions that meet their expectations. At TLA Services we know that no two interior spaces are the same. Our professional team will take an in-depth look at your property and determine which of our appliances will efficiently and effectively deliver the best level of relief during the extreme heat or cold. For Melbourne’s bitter winters, we provide efficient ducted heating to Bayswater homes, allowing you to heat your home quickly and evenly. For more information about our air conditioning services Bayswater home and business owners can call us on 0430 234 057.